Indian company Maharshi provides high-performance machines for labelling, printing, visual inspection and leak testing for a number of industries. In North America, its exclusive distributor is Daiichi Jitsugyo (DJA). We talk to DJA vice-president Rusty Nelson about these specialist machines and what sets his company apart from others in the field. The HLC-120 Automatic Sticker Labelling Machine from Maharshi. Maharshi offers double-sided labelling machines. Maharshi provides machines that apply labels on small thin glass containers such as ampoules and vials. With a history stretching back for more than three decades, Maharshi is an established name in India for packaging machines. Yet in the US, the company is still relatively new to the market and owes its introduction to sales and distributor organisation DJA. “They’re big on labelling, big on printing,” says Rusty Nelson, DJA vice-president and general manager. “Maharshi does a lot of liquid filling machines. Rusty wants to inspect each machine and know everything about it before signing a distributor deal. He says he will not sell a machine unless he’s 100% happy with it, giving everything he sells his own stamp of approval. “Because we are going to be servicing them, I’ll need to know everything about the machines,” he says. “I’ve been doing this since 1994, I’ve been bringing equipment in from overseas and I understand what it takes to bring it in. 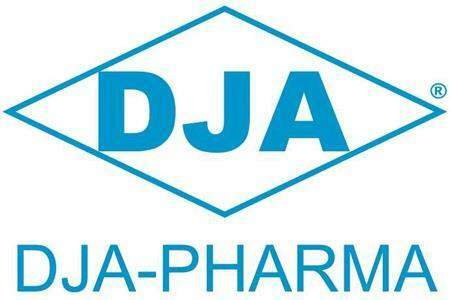 Through Rusty’s strategic planning, DJA is able to offer a complete range of packaging machines that meet almost every requirement, with Maharshi’s products used throughout the pharmaceutical industry. 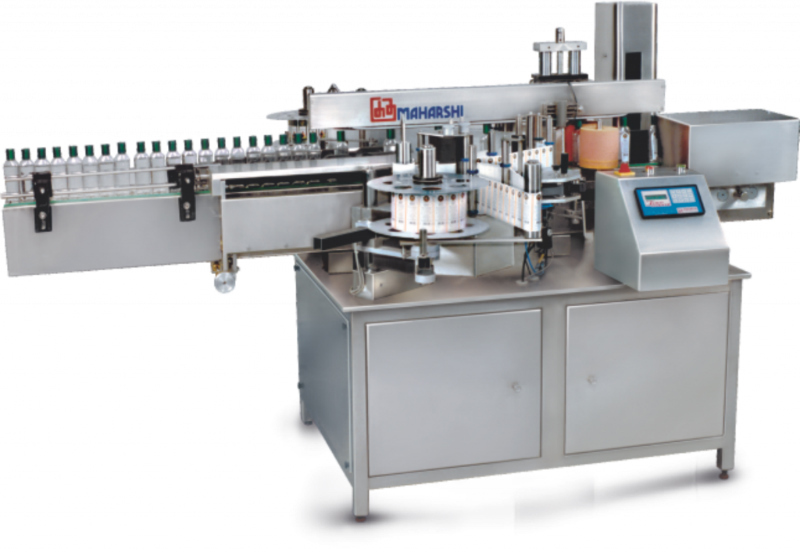 For example, Maharshi provides machines that attach labels to bottles with automated precision, specifically for the required container dimensions they are being applied to. The company’s innovative, double-side labelling machine combines a spring-loaded twin-worm system and digital Servo technology provides single or double-side simultaneous labelling on up to 300 containers a minute. Two label dispensers offer independent operation for separate applications, while three Axis label dispensers facilitates any kind of label dispensing. It offers a responsive keypad, with a touchscreen or independent PC interface also available. 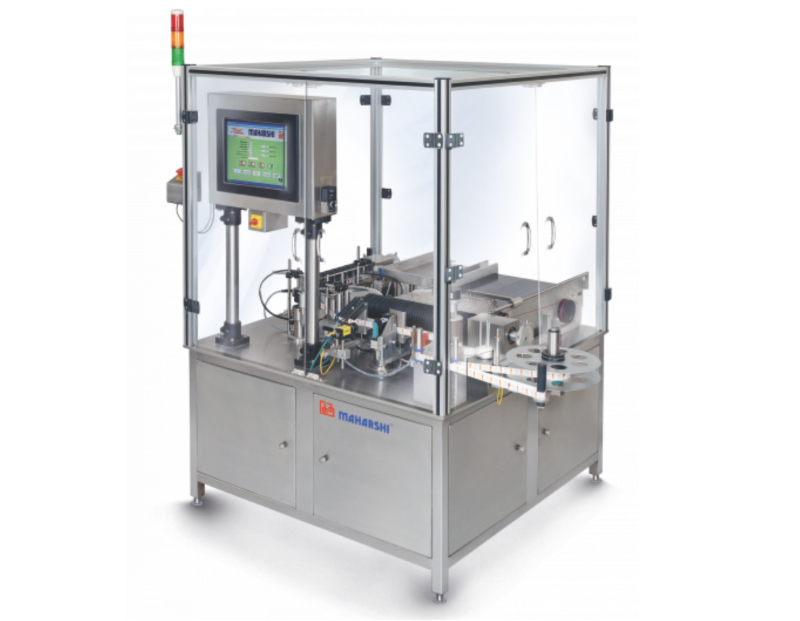 Suitable for wraparound labelling on a wide range of bottles and jars, the machine has a wide range of rotary labellers for varying output levels. Maharshi’s automatic sticker labelling machines can be used on cartons, boxes and small, vertical containers. With speeds of up to 300 containers or 600 vials per minutes, they feature label sensors and inspection cameras for quality assurance and inspection. Meanwhile, Maharshi’s multifunctional flow wrap system is capable of wrapping cylindrical, cubical and irregularly shaped solid products such as IV fluid bottles, disposable syringes, spark plugs and similar products in pillow pack pouches. 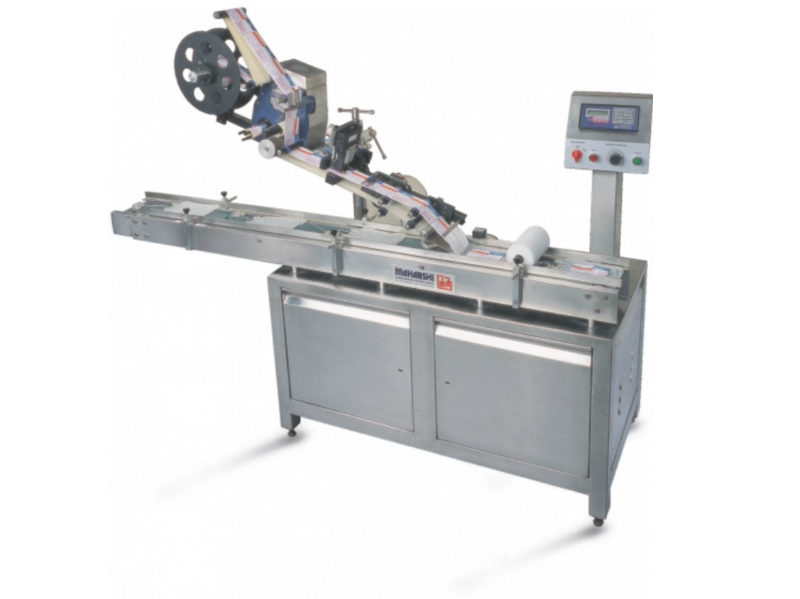 Featuring Servo technology, it automatically feeds, cuts and processes up to 200 pouches a minute and its adjustable length mechanism and forming unit serves a wide range of roll widths. Maharshi’s standalone hologram / label applicator can be used independently or as part of existing packing line conveyors. With a speed of up to 400 products a minute, the hologram or labels can be folded in ‘L’ or ‘U’ shapes with a custom-built mechanism that can be separately fitted according to the client’s requirements. The unit can be fixed on a counter-rewinder for applying VVM labels or holograms on film and labels. When DJA makes a sale, machines are shipped directly from the Maharshi warehouse to the customer. Individual customers can have machines modified before they arrive to ensure that they meet their exact specifications for their designated application. Rusty discovered Maharshi after word spread around the industry about DJA’s line of work. “What happened was, people started to learn about me in India and I was referred to a number of these companies,” he explains. “India is developing a huge presence here and that’s why I decided to target India specifically.